It’s very convenient that just show the screen of klook to the staff of reef terminal and included the ferry ticket, lunch buffet and the equipment. 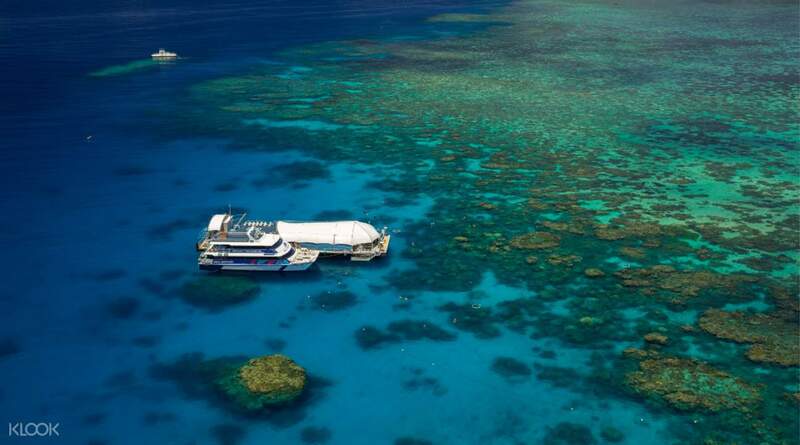 Submerge yourself into the world heritage listed natural wonder on this day cruise to the outer reef platform. 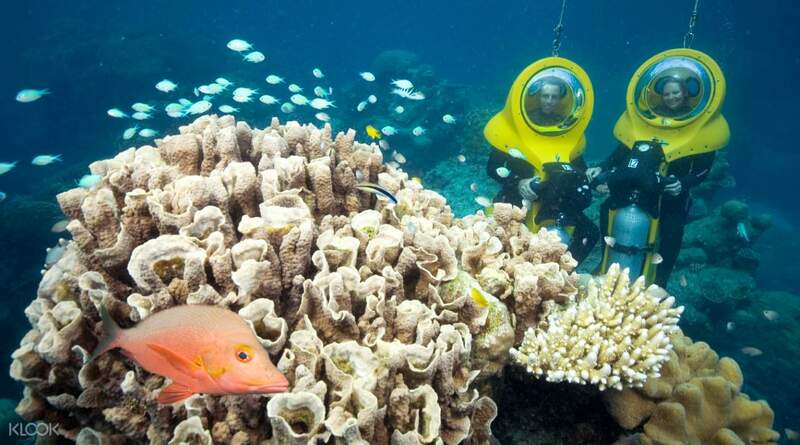 You'll get to take in views of the vast ocean and sea life as you journey your way to the platform less affected by human activity and known for it's wide range of fish and coral species. From here you have the option to snorkel and swim in some of the world's clearest water and watch colourful fish, coral and other sea life swim around you. 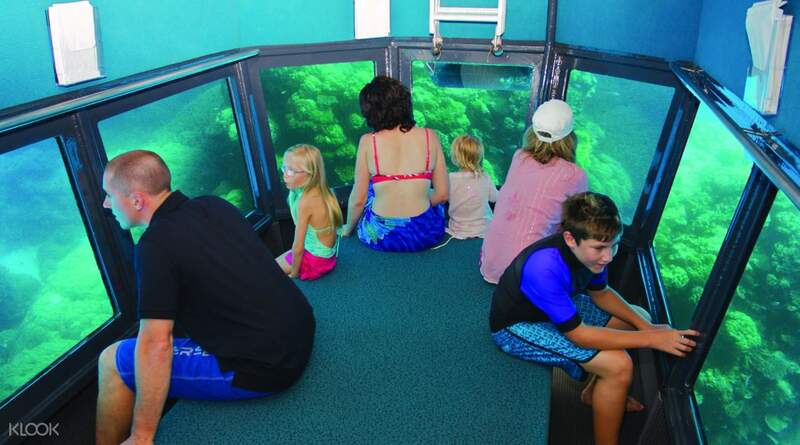 If you'd rather stay on the boat, you can still observe this magical world from the coral viewing platform and underwater observatory. 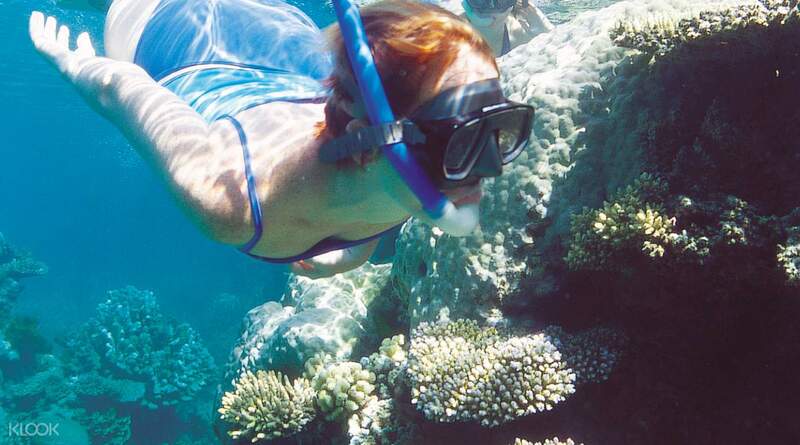 You'll also hear an eco-talk and learn about the conservation efforts of preserving the Great Barrier Reef for the future. great tour, comfortable, do get onboard early to get your seat. air con cabin, friendly crew members/ staff, free cakes and cheese and biscuits, hot tea and coffee provide on ship. buffet lunch was great, hot soup, salad, hot dish, enough for everybody. full gear provided in all size. life jacket + professional lifeguard. its all safe! great tour, comfortable, do get onboard early to get your seat. air con cabin, friendly crew members/ staff, free cakes and cheese and biscuits, hot tea and coffee provide on ship. buffet lunch was great, hot soup, salad, hot dish, enough for everybody. full gear provided in all size. life jacket + professional lifeguard. its all safe! I were there in July which is Winter in Australia. It is a great adventure that you must experience and never regret. The arrangement is excellent. I were there in July which is Winter in Australia. It is a great adventure that you must experience and never regret. The arrangement is excellent. The vessel is very comfortable and the staffs are really nice and helpful. The equipment were clean and categorised in an easy way for customers to find. The staffs will give a briefing on how to snorkelling and how to use the equipments, so please do pay attention to them :) I had joined the ScubaDoo which you have to pay on top of the tickets. And it is worth that price!!! The vessel is very comfortable and the staffs are really nice and helpful. The equipment were clean and categorised in an easy way for customers to find. The staffs will give a briefing on how to snorkelling and how to use the equipments, so please do pay attention to them :) I had joined the ScubaDoo which you have to pay on top of the tickets. And it is worth that price!!! The way on either pick up and ticket pick up procedure were unclear it makes all the people confused. But then the trip is nice, shop staff are kind. I got a wonderful day. The way on either pick up and ticket pick up procedure were unclear it makes all the people confused. But then the trip is nice, shop staff are kind. I got a wonderful day. It’s very convenient that just show the screen of klook to the staff of reef terminal and included the ferry ticket, lunch buffet and the equipment. It’s very convenient that just show the screen of klook to the staff of reef terminal and included the ferry ticket, lunch buffet and the equipment. Great experience. Must join the optional tour, scuba diving and scuba doo. You would experience under water world. That’s amazing. Great experience. Must join the optional tour, scuba diving and scuba doo. You would experience under water world. That’s amazing. Amazing experience. But the water is quite cold in June. Suggest going in March or April. Amazing experience. But the water is quite cold in June. Suggest going in March or April. 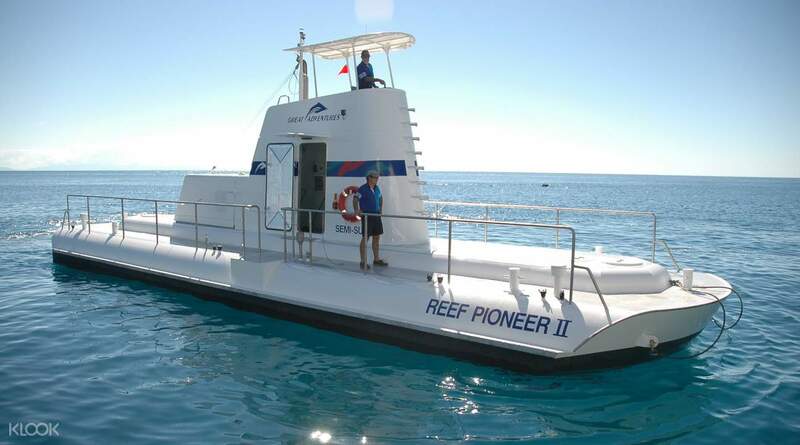 I had a nice experience with this tour.I enjoyed the semi-sub,underwater observatory and snorkeling. I love the food too.Though i did not get a lycra suit that suits my size probably 6 or 8 not sure though.Overall i recommend this activity so much.I wont get this 3 activities in one because most online offers dont include the semi-sub or underwater observatory.Free use of lycra suit in case you need it. I had a nice experience with this tour.I enjoyed the semi-sub,underwater observatory and snorkeling. I love the food too.Though i did not get a lycra suit that suits my size probably 6 or 8 not sure though.Overall i recommend this activity so much.I wont get this 3 activities in one because most online offers dont include the semi-sub or underwater observatory.Free use of lycra suit in case you need it. Amazing experience, the tour was perfect. We had rough weather and a number of people were sick on the boat. However the staff were well trained and extremely helpful. Amazing experience, the tour was perfect. We had rough weather and a number of people were sick on the boat. However the staff were well trained and extremely helpful.